Most politicians promise to make change, but D.C. mayoral candidate Muriel Bowser has promised to make beds. Bowser announced Monday that she will spend a day working as a housekeeper at the Marriott Marquis hotel in downtown D.C. in support of the city's workers. Bowser said she plans to make her hotel debut next month and that she got the idea when she met a group of unionized workers from the hotel. "They challenged me to do something, to be a housekeeper for a day," Bowser said. "They didn't think I could handle it and I probably can't for the whole day. But I'm going to stand with them." Bowser is a two-term council member. Her announcement came after she received the endorsement of the Metropolitan Washington Council, which represents an umbrella group of unions in D.C.
Joslyn Williams, president of the organization, praised Bowser. 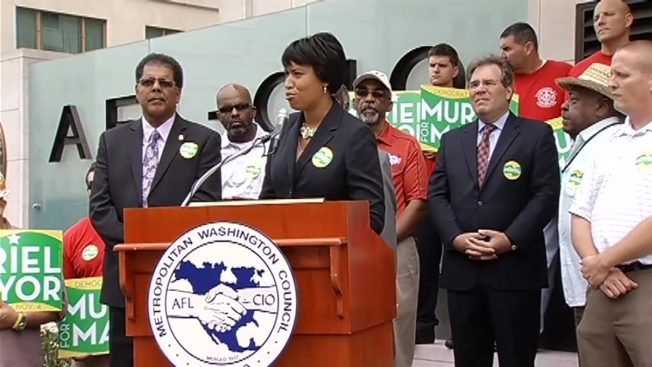 "Muriel Bowser represents the best choice for working people in the District of Columbia," Williams said. The unions endorsed Bowser after considering her opponents David Catania and Carol Schwartz. Neither candidate offered comment on Bowser's endorsement. Bowser and her opponents will report their fundraising totals this week, which can be a good indication of the strength of their campaigns.